The legal Mexican cannabis market is about to explode. 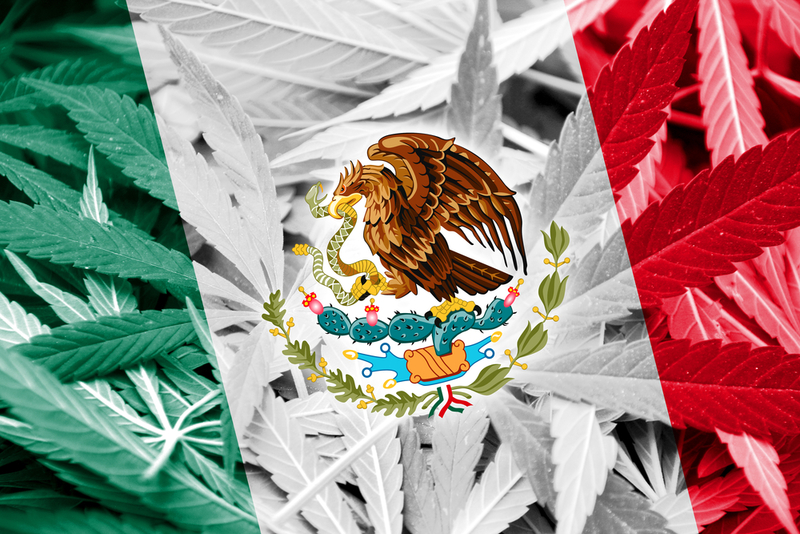 Latin America, and in particular, Mexico, is poised for explosive growth in the marijuana market. More and more countries are becoming aware of the positive benefits of marijuana, regardless of whether it is legalized for medical use or recreational use. Many countries have already legalized or decriminalized it. This allows their citizens to use marijuana casually and/or in controlled amounts. In 2013 Uruguay became the first country in the world to legalize marijuana for adult use. Although not many countries have this level of legal access to marijuana, many have relaxed approaches towards marijuana use and sale. For example, when thinking of casually and openly smoking weed in the middle of a city most people immediately conjure up images of Amsterdam. Here, even people that are not residents of the Netherlands can easily purchase all kinds of marijuana products. (In the other part of the Netherlands, only locals can do this.) However, marijuana is officially illegal in the Netherlands! Due to relaxed attitudes, the authorities will not typically interfere except when people smoke in close proximity to a school or playground or cause a nuisance. Many countries do not require involuntary drug tests for marijuana. These include countries like Spain, Peru, Jamaica, Canada, Portugal, Australia, Switzerland, Argentina, Cambodia, Costa Rica, Czech Republic, Ecuador, Italy, Estonia, Mexico, Israel, Germany, and even North Korea. In these, and a lot of other places throughout the world, marijuana is either lawful to some extent, or no actions are taken against it. There are many compelling reasons to legalize marijuana. Perhaps the most important is its medical benefits. Marijuana is prescribed to treat or relieve symptoms of many scary diseases. Many people experience less pain and a simpler life by using marijuana. Additionally, marijuana is used because it inhibits certain types of cancer growth, controls Alzheimer’s disease, controls epileptic seizures, relieves arthritis, treats glaucoma, fights anxiety, relieves chronic pain, and treats inflammatory bowel disease. This means a lot to people who struggle every day to survive. These positive benefits of weed are what make people reach out for it even in countries where it’s not legally allowed. There is no good reason to make criminals of people who are simply seeking medication to treat their health issues. Uruguay’s changed views on marijuana initiated a wave of liberal policies towards medical marijuana use. Many countries in the region followed its lead: Mexico, Colombia, Argentina, Chile, Peru, and Paraguay put in motion similar policies allowing the medical use of marijuana. Latin America has a potential cannabis patient pool of 68 million. Mexico legalized medical marijuana in 2017. This allowed import, sale, and consumption of marijuana products for medical use. Industry experts are preparing for Mexico to legalize marijuana for recreational use this year. Mexico has a population of around 123.5 million people, of which approximately 11.7 million are medical marijuana patients. Mexico will quickly become one of the largest cannabis markets in Latin America, if not the world. López Obrador, the new Mexican President, sent a group of Mexican officials to Canada in October 2018 to discuss the legalization process. A bill has been already submitted to the Mexican Congress that would formally legalize marijuana and create regulations for the industry. The timeline for this process moved quickly and can be seen at table 1. The number of countries that are legalizing cannabis is gradually increasing. Meanwhile, the US federal government is falling behind. By 2025, the legal cannabis industry is expected to be worth $146.4 billion! Currently, US companies and investors are mostly locked out of this huge potential market just because the federal government still classifies marijuana in the same category as heroin, methamphetamines, and LSD. US companies are missing out on many of the opportunities that the first wave that the global cannabis market has to offer. According to the National Cannabis Industry Association, nine Canadian companies are valued more than billion dollars each, and three of them are worth more than 13 billion dollars. These rapid developments in Mexico are putting more pressure than ever before on the US to change its marijuana laws. In the November 2018 midterms, three US states voted to soften their laws connected to marijuana. (Michigan legalized recreational use, and Utah and Missouri legalized medical cannabis.) Change is occurring and experts estimate that the US might legalize marijuana at the federal level as soon as next year. Until then, US companies should begin positioning themselves to enter the emerging Mexican market. This is a guest post by Mary Walton, an editor and proofreader from Santa Monica. Her articles have appeared in the Huffington Post, CV Library, and GlobalSign.